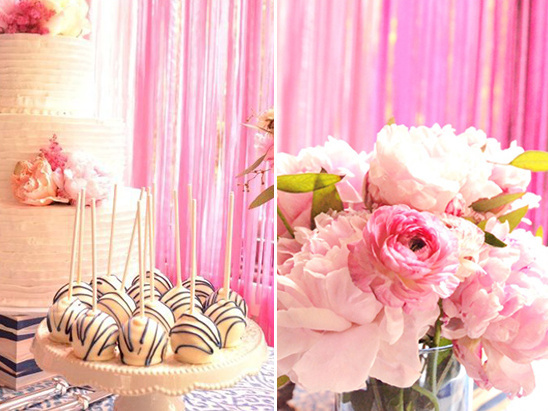 We know that wedding guests always look forward to a dessert table, and A Charming Fête is here to share with us a few ideas that are easy, inexpensive and look great. 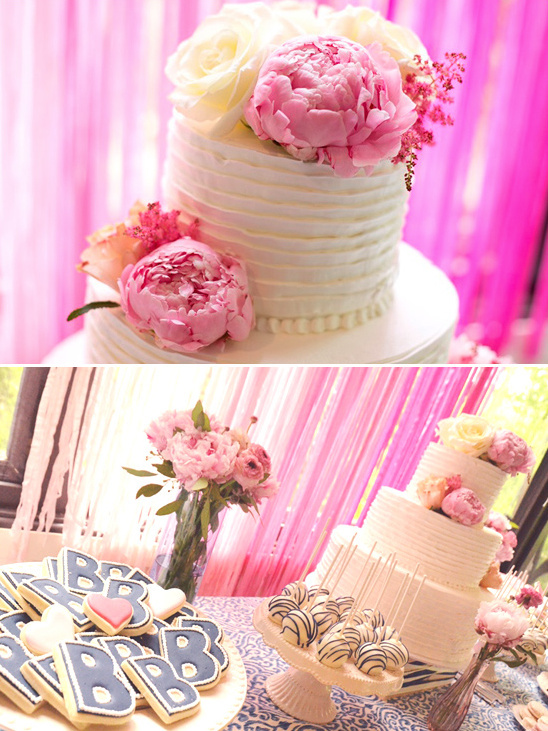 They started out by creating a pink ombre backdrop using inexpensive seam binding. By using several small wooden boxes, they created tiers for the plates, and covered the table with some ikat fabric to keep it modern and chic. 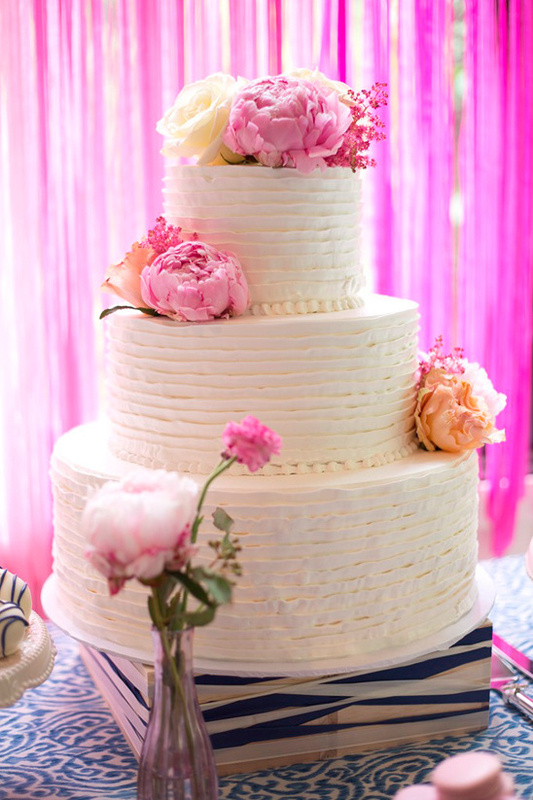 Read on for more easy dessert table ideas, and be sure to check out more of this dessert table in the full gallery here from Natalie Kontur Photography. 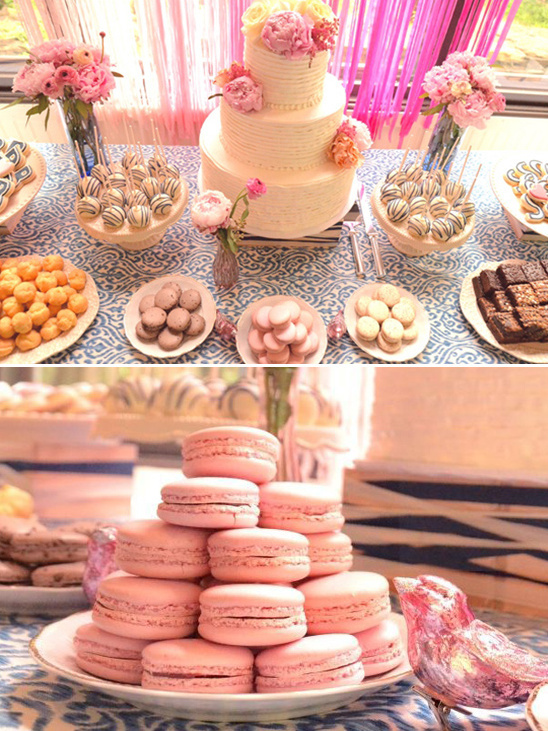 From A Charming Fête:To create this dessert table we started with the color palette of the wedding, indigo blue and shades of pink. To keep this look from going too “nautical” we incorporated some unique patterns and textures. We found this interesting canvas-like ikat fabric remnant at a local fabric store and used it as a table overlay. It really anchored the table and created a unique look. Sometimes an inexpensive touch like this makes all the difference! To create the pink ombre backdrop, we used several spools of seam binding, which has a natural, almost hand-died look to it (we usually prefer to work with this over traditional ribbon for price and aesthetic purposes). We cut the seam binding to desired length and looped it over a strip of basic kitchen twine to create a fun, easy, inexpensive and super light-weight backdrop. To create levels or tiers on the table, we used basic unfinished wood boxes which can be found at your local craft store. We wrapped indigo and white seam binding haphazardly around them to give it an imperfect yet cool look. 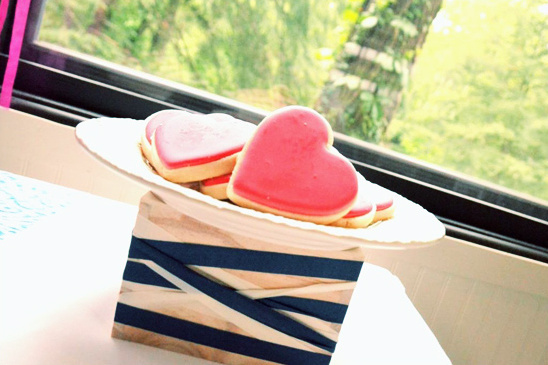 We also created the cake base using four of the same small wood boxes! For the treats, it’s (usually) important to try to stick to a consistent color palette (although there are no rules when it comes to creativity!). 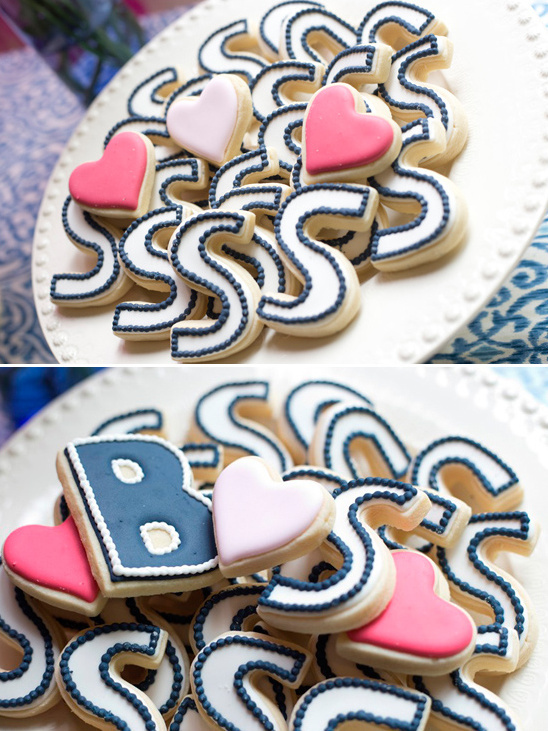 Pink Party Planners created adorable initial sugar cookies (“B” for Brad and “S” for Sarah) for the bride and groom and heart-shaped ones in shades of pink as well. They also made the cake pops drizzled in blue. We also included raspberry, vanilla and chocolate French macarons, brownies and mini cheesecake bites. It’s all about the presentation! We added some astilbe, garden roses and peonies to the amazing cake which was made by Wild Flour. We created a couple easy floral arrangements using pink peonies and ranunculus just to add a bit of “fresh” to the table… flower make everything better. 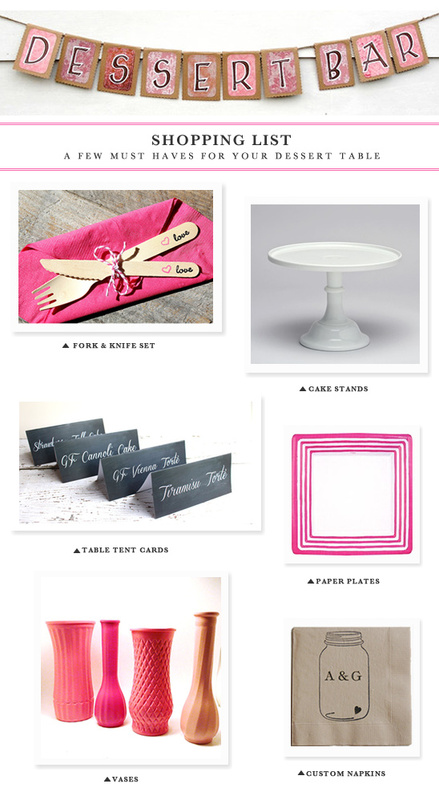 We rounded up a few personal must haves for the ever so important dessert bar.